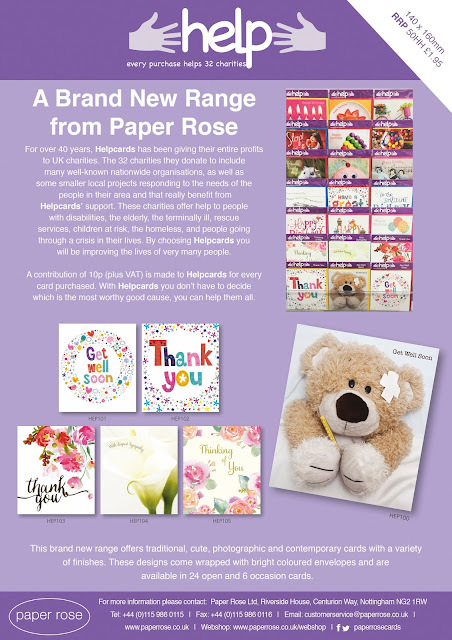 Our exclusive brand new range Helpcards is launching at PG Live, pop by our stand 325 to see all the excitement! For over 40 years, Helpcards has been giving their entire profits to UK charities. The 32 charities they donate to include many well-known nationwide organisations, as well as some smaller local projects responding to the needs of the people in their area and that really benefit from Helpcards’ support. These charities offer help to people with disabilities, the elderly, the terminally ill, rescue services, children at risk, the homeless, and people going through a crisis in their lives. By choosing Helpcards you will be improving the lives of very many people. A contribution of 10p (plus VAT) is made to Helpcards for every card purchased. you can help them all.